James H. Kern, M.D. (Houston) - Book Appointment Online! The Image Enhancement Center offers aesthetic and surgical procedures. Dr. James Kern creates real transformation using the latest technology in liposuction and fat transfer procedures such as Natural Breast Augmentation, facial and hand rejuvenation, and buttocks augmentation. 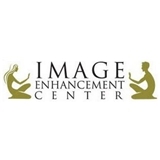 The entire staff at the Image Enhancement Centers of Houston are devoted to treating each individual patient with special care and concern. Any concern is important as long as it matters to you. We have two convenient locations to serve our patients. Dr. Kern was great, honest and straight to the point. I would definitely recommend him!